This bus most likely has a Retarder for stops or runs in the mountains. This bus is seen on Hollywood and Charleston. Interior photo of a 1998 Saf-T-Liner ER, blue floor/seats and grey interior. It has the acousitc ceilings, speakers, and Air Conditioning mounted to the roof. 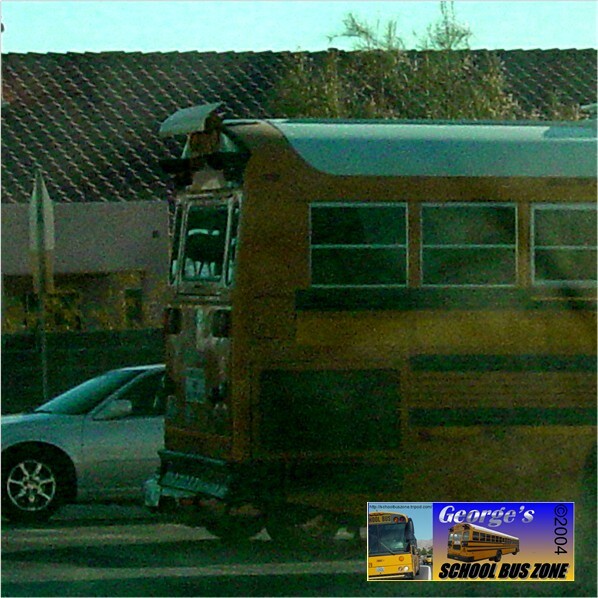 This was the last year they bought buses without the black powder coated window frames. Thanks for the picture Francisco! !